The Zippo Manufacturing Company is one of the PA Wild's most iconic brands, world famous for their collectible Zippo lighters. Visit the Zippo/Case Museum in Bradford, where fans and collectors from across the globe gather to experience the rich history of these two American and Pennsylvania Wilds' icons. - Zippo Rocks!, a rocking collection of Zippo's role in the music throughout the years. - An Ally for the Allies, an exploration of Zippo's contributions to the American effort in WWII. - The Greatest Supporting Actor of all Times, an illustration of each time a Zippo lighter is in the Hollywood spotlight. - "It Works or We Fix It Free," a glance into Zippo's famous repairs center. Dedicated Zippo fans from around the world have collector clubs. Check the Museum events page for special events and collector swap meets! Did you know? The Zippo lighter has been featured in more than 2,000 movies, stage plays and television shows over the years. The famous Zippo “click” sound has been sampled on songs, and the lighters themselves have been featured on album covers, tattooed on rockers’ skin, and wielded in Rolling Stone photo shoots. 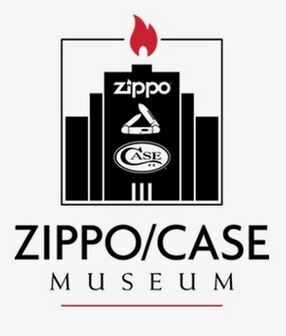 Check hours and more detailed directions at the Zippo Case Museum website.